Don’t forget Olympians can get a further 10% with your membership discount. 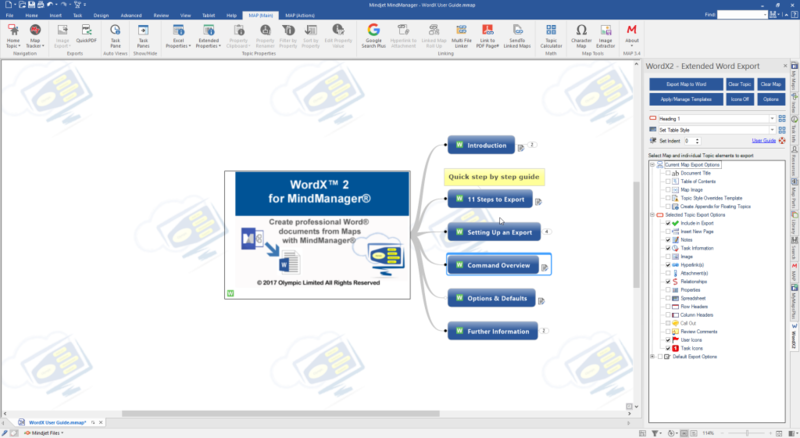 This months add-in is WordX™, an enhanced export offering granular control at single Topic level enabling the creation of stylish Microsoft® Word documents from your MindManager Maps. Selective export control at Topic level enables single Maps to act as catalysts for multiple document types and content depending on your requirements. Apply Word Template Styles to individual Topics to create the look and feel that suits your document type and/or intended readers or use the actual Topic Text Styles from the Map. Even greater flexibility is possible with individual control of Topic Elements such as Markers, Text Notes and Hyperlinks etc. via the dedicated WordX Taskpane. 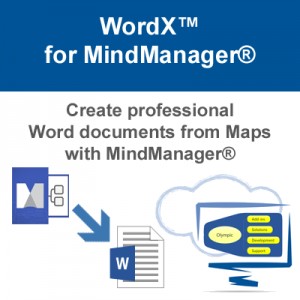 WordX mark-up can be applied to Map Topics individually or via multi-selection and Word Templates can be managed and applied to Maps all within MindManager meaning you never have to leave your favourite mapping app. You can also select Map Topics based on Word Styles to make quick changes to experiment with different export results until you find your perfect result. 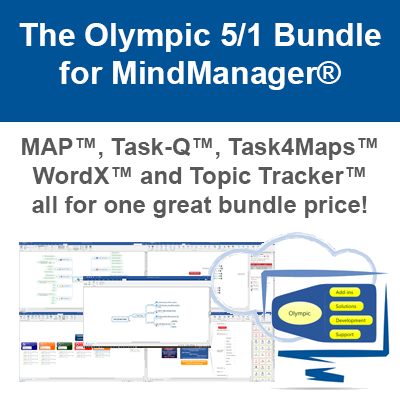 You can learn more about WordX on the product page and also download a fully functional trial to see just how the add-in for MindManager will help you sift through the content of your Maps and put you in front of the information that matters. Get Creative with WordX Today! 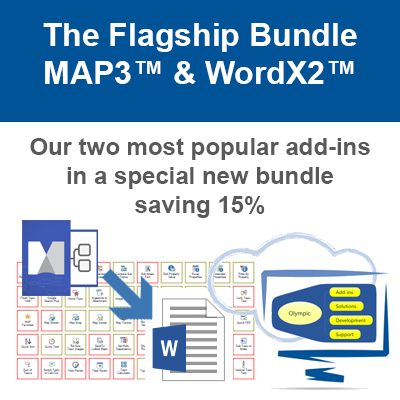 The WordX monthly special is available between June 1st and June 30th 2018.